After this weekend, I see why so many creative New Yorkers move upstate to the small town of Hudson once they marry, start having kids, find more mobile means of employment, or simply want to invest in a multi-level piece of property without tempting bankruptcy. It’s roomier, quieter, friendlier, cheaper, only 2 hours from the city, less than 2 hours from the mountains. You can walk down the main drag to the sound of Jerry Garcia’s voice drifting out a front door, a few buildings down from some Jamaican patties. 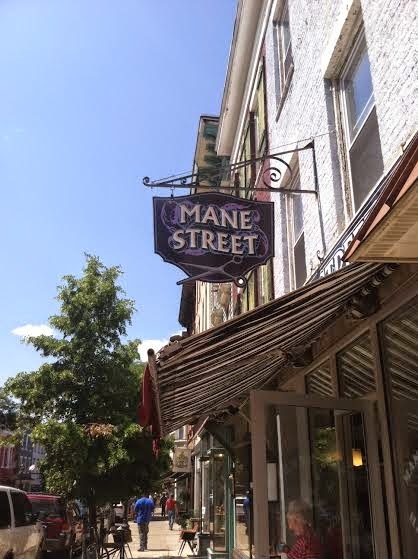 Although Hudson’s main drag is (blessedly) named something other than Main Street, it does include a hair salon that could not resist. 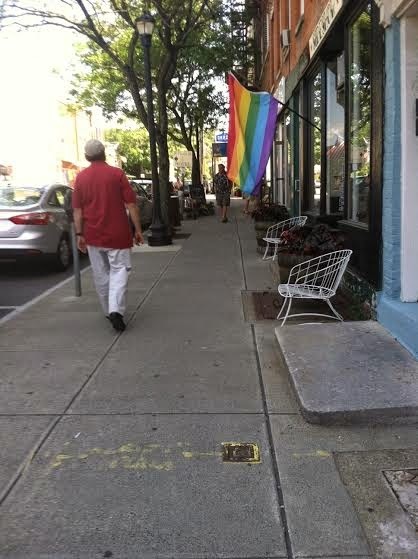 This time of year, the main drag is a flag-happy strip. Those low-flying flags look charming until the wind gets gusting and, one by one, they start furling and unfurling, slapping you upside the head as you stroll. I had the most delicious burger of my life at a farm-to-table diner called Grazin’, the first animal welfare-approved restaurant in the world, not long after standing centimeters away from a man with an intricately tattooed neck, shaved head, throat, and face. Eat your heart out Michelangelo, this icon and the artist(s) who inked him have got you beat. 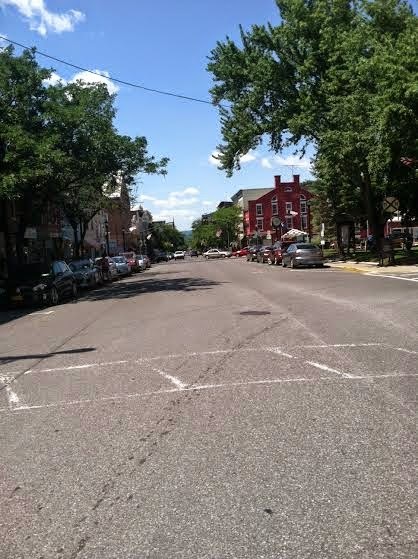 I love small towns up the Hudson River, also--for a summer visit. I think many worn-out grown-ups think this would be a great place to raise children, but what they are forgetting is that kids start to grow up quickly, and they get bored, bored, bored with nothing to do. Boredom has a way of translating into getting into trouble, sometimes really big trouble. I raised a kid in the Big Apple, and I have never regretted it. There was always something interesting to do, and we took full advantage of that. Another factor to consider is access to essential services, like doctors and hospitals. The farther away you get from a big city, the more limited your choices become. "Two hours away from the city" can become an eternity. 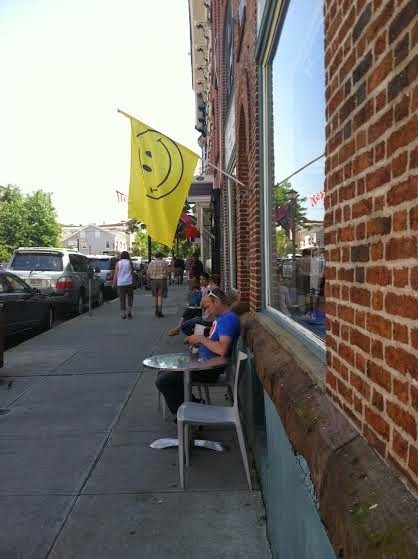 You can tell, I am not especially a fan of small towns--at least for long periods of time. On vacation, I just love them. Love it, love it, love it! Your description of everything, especially that burger. Will you visit in the winter and let us know how happy Happyville is. 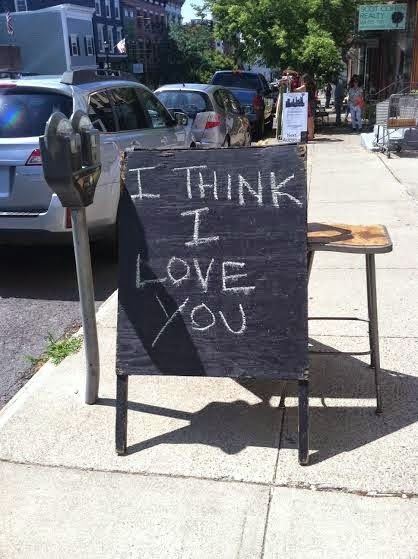 I used to think I would die of boredom in a small town but the older I get, the more I want to move to one. This looks charming.